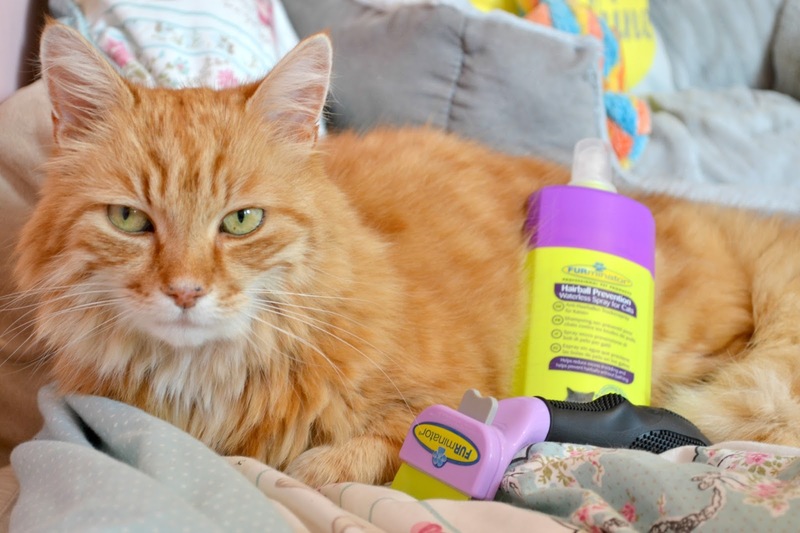 You may have seen my fluffy cat Biscuit feature on my blog quite a bit recently so when I was offered the chance to try out some products from FURminator, I jumped at the chance of being able to show Biscuit off again. 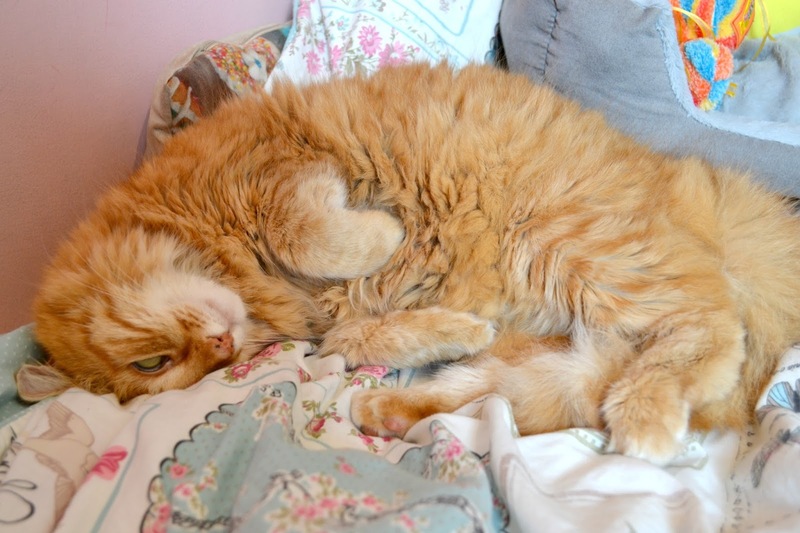 Biscuit is such a poser and is a domestic long haired ginger cat. His hair is usually everywhere and I am never far from a lint roller. Firstly, I received the FURminator deShedding tool. This tool is the number one choice when it comes to preventing your pet from shedding hair around the home and was designed by professional groomers. These premium quality deShedding tools can reduce the level of shedding by up to 90%. The stainless steel de-shedding edge reaches through the topcoat to safely remove loose hair without cutting or damaging your pets skin underneath. Biscuit found the process quite relaxing and it was nice to get rid of lots of loose hairs that would no doubt end up all over the furniture! Once your have brushed your pet a few times, the de-shedding edge fills with hair. The FURejector button releases the hair with ease making de-shedding easier than ever. The ergonomic handle means this is easy to grip and hold and comfortable to use. The FURminator deShedding tool is so simple to use as I have demonstrated in this short video below. By grooming your cat you can decrease shedding and reduce hairballs. This also stimulates natural oil production which protects the skin and ensures your cat has a healthy coat. I have definitely noticed that biscuit feels a lot softer since using the FURminator. I also received the Hairball Prevention Waterless Spray for cats. This helps to reduce hairballs and excess shedding so goes hand in hand with the DeShedding tool. The website states "This proprietary blend of ingredients is formulated specifically for cats to helps reduce loose hair from shedding and effectively reduces hairballs by reducing loose hair ingested by cats associated with self-grooming without bathing". I simply sprayed this onto Biscuit's coat, rubbed it through his fur and then towel dried the remaining moisture. Overall I am really impressed with these must-have pet products. You can view the full range of FURminator products here and also buy them on Amazon or in pet stores. What do you think? Buying a House - Where to Start?